Scorpionfish. 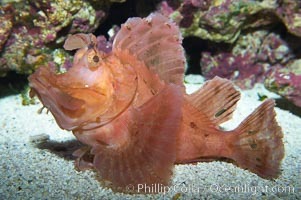 Scorpionfish, Rhinopias sp Photo. Scorpionfish. 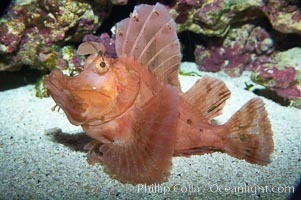 Scorpionfish, Rhinopias sp Picture. Tropical scorpionfishes are camoflage experts, changing color and apparent texture in order to masquerade as rocks, clumps of algae or detritus. 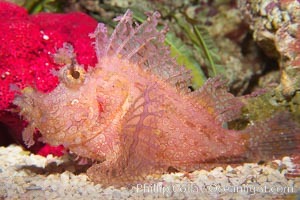 Stock Photography of Scorpionfish, Rhinopias sp. Tropical scorpionfishes are camoflage experts, changing color and apparent texture in order to masquerade as rocks, clumps of algae or detritus. 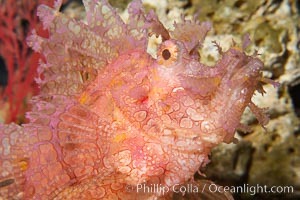 Photograph of Scorpionfish, Rhinopias sp.